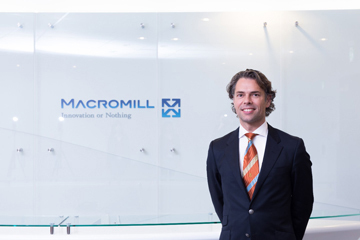 Tokyo and Rotterdam – 19 March 2015 – MACROMILL, a global provider of consumer insights and marketing analytics solutions today announces two executive appointments. 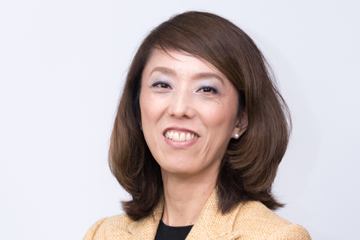 Kuniko Ogawa as Chief Technology Officer and Teruaki Kido as Chief Financial Officer will be joining the global leadership team. 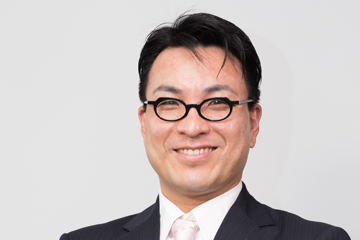 New CTO Ogawa has more than 25 years of experience delivering IT innovation. Having joined IBM as a systems engineer in 1989, she led architecture design and deployment of e-business infrastructure globally. In 2005 she was appointed Executive Assistant to the General Manager of IBM Asia Pacific then furthered her leadership roles as Vice President of Transformation & Operations and then as Vice President of Strategic Outsourcing Delivery at IBM. “There is work to be done to better package market research solutions into scalable, visual insights that are available in less time. Technology innovation, like the MACROMILL “App Store” will make this a reality for clients worldwide. By taking a strong leadership role in the market, we will advance the results delivery experience by delivering business information and consumer insights in a more comprehensive and intuitive way. There is room for improvement – in general deliverables of the marketing information industry are not yet great drivers of shared action. Similar to a great theme park– the attractions are one piece of a holistic experience; same for results delivery, it is about an immersive/exciting learning experience! Our new generation dashboards and online reporting will be combined with on-demand expert consulting services to deliver great learning experiences for our clients,” states Kuniko Ogawa. Kido, the new CFO comes to MACROMILL after 11 years at General Electric, holding finance manager roles at GE Capital, and GE Healthcare Asia Pacific. Prior to joining GE, Kido held positions in the banking industry over the course of 11 years. “We partner with Bain Capital as we invest to support the expansion of our multicounty account relationships by adding offices in markets where our clients require support. We will also invest in the value chain of research for our clients. This includes the worldwide expansion of our consumer panel. For 2015 we have Southeast Asia, Latin America and Africa panel investments on our agenda,” states Teruaki Kido. “There are many initiatives underway at MACROMILL right now, and our largest priority is adding top talent. With Kuniko Ogawa and Teruaki Kido we have added leaders with a truly global perspective on Technology and Finance. Most global MR companies have western only executives in their global leadership teams; I strongly believe that the cultural diversification we have at MACROMILL leads to better decisions and ultimately improved global business performance,’ says Global CEO Han De Groot. MACROMILL (recently merged with MetrixLab) is the fastest growing provider of consumer insights and marketing analytics solutions. MACROMILL turns data from online surveys, social media and enterprise systems into valuable business information and actionable consumer insights that help leading companies drive product innovation, brand engagement and customer value. Headquartered in Tokyo and Rotterdam with 27 offices across the Americas, Europe and Asia, MACROMILL serves 2200 leading brands in more than 80 countries.